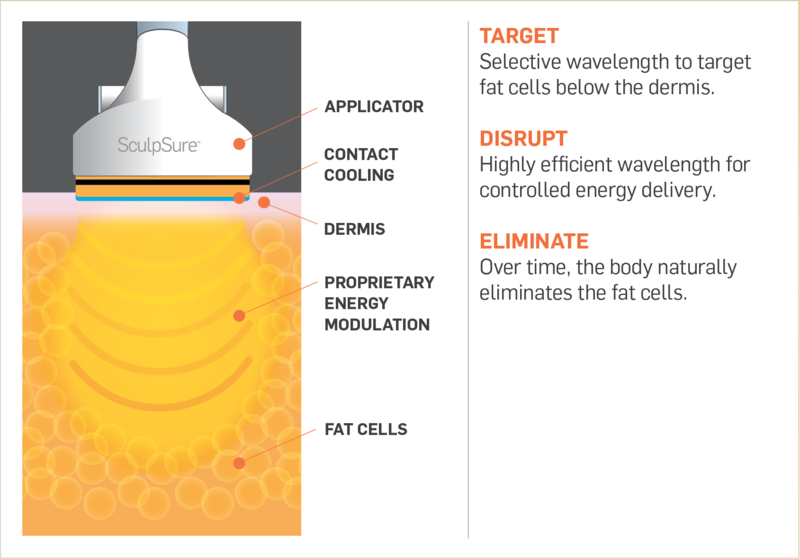 SculpSure™ – Latest fat-busting treatment! Cellite Clinic is the first clinic outside of London to offer this latest technology. Dr Harryono Judodihardjo, the medical director of Cellite Clinic, explains why this treatment is so good. This is a non-invasive laser treatment to remove fat from stubborn areas that just won’t go away with dieting or exercise. After a medical consultation to determine your suitability, you can book in for the treatment. The treatment involves attaching the laser treatment heads to your skin and then letting the laser heat up the fat for about 25 minutes. That’s it! No cutting. No recovery time. 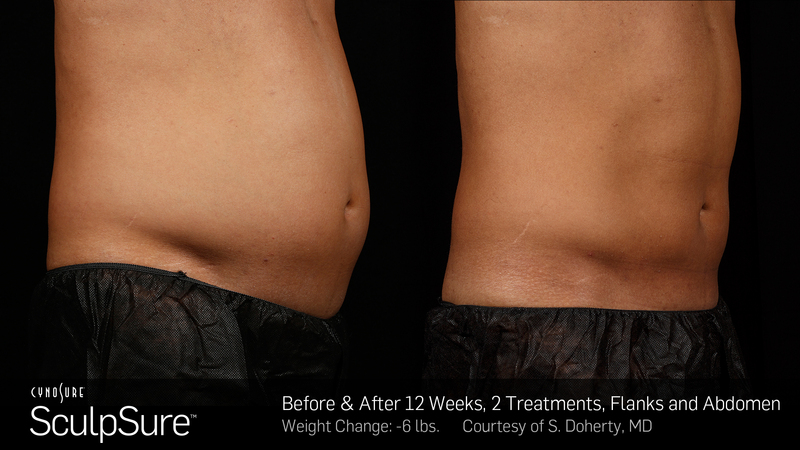 The fat cells that had been damaged by the laser will be naturally removed from the area over a 12-week period of time. To view a larger version of the image please click on the image. Scientific studies had shown that with each treatment up to 25% of the fat in the treatment areas could be removed. More of the remaining fat can be removed with further treatments. There are many positive reviews online on this treatment. I would encourage the readers to do their own research online if they are interested in this treatment. Just type “SculpSure treatment” in the search engines. However as with every medical treatment there can be some treatment failures, therefore we cannot guarantee the success of this treatment for everyone. However studies have shown that over 90% of patients are satisfied, which is considered to be a high success rate for any medical treatment. 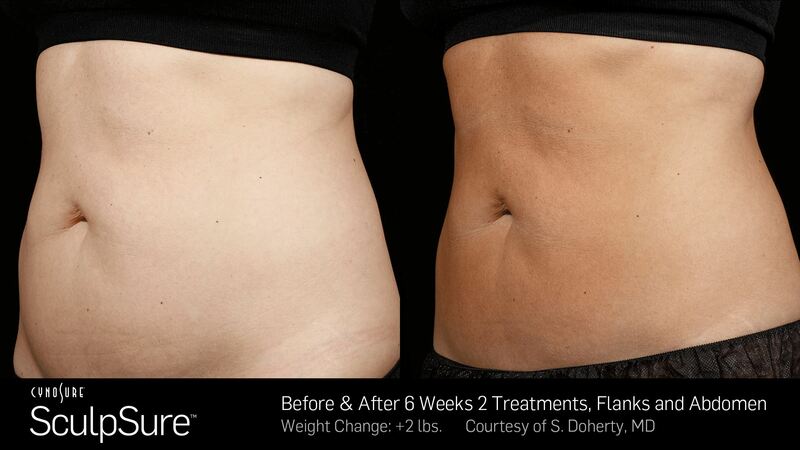 SculpSure treatment is non invasive and is comfortable. No anaesthetic is needed. After the treatment the skin is slightly red and feels slightly warm for a few hours. Unlike fat-freezing treatments, only very rarely small bruises may occur after SculpSure treatment. Some people might get mild tenderness in the treated area but that is it. Patients should be able to get back to normal activities immediately after the treatment. We charge £175 per treatment pad per session. Each treatment pad is about the 2”x3”. The number of pads required would be determined at consultation. Most patients need more than one treatment for desired results. 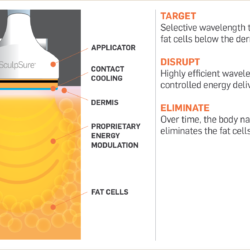 What should I do next if I want SculpSure™?